Congratulations to Dr. Keith LaFerriere for receiving the July Athlete of the Month honors!! Keith one of our longest standing clients, has not only become one of the most fit physicians in Springfield but has upped his frequency for his 2018 campaign. 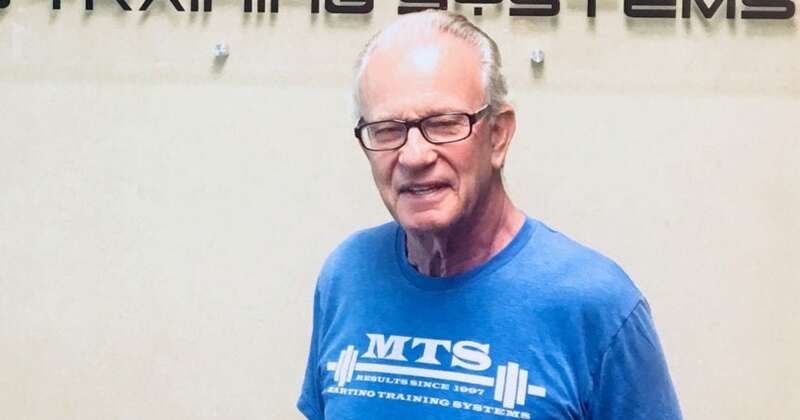 Unless he is on an exotic vacation with his bride Randy, you will find him pumping iron 5 days a week here at MTS! Keith has always been a great contributor to the Springfield community and elsewhere. We have always been proud to have him as part of our MTS family for the past 15 1/2 years!! In my early 30’s I started running half to full marathons. When it become more difficult to run in my 40’s, I changed to machine weights and aerobic exercise but was sporadic until joining MTS. I stared with MTSin 2003 at age 58. When I was working full time, I was only able to work out about 3 times a week. Since retirement, I go almost every weekday and look forward to working out. The Friday workout, as it is more upper body and a good amount of aerobic as well – a good lead into the weekend. In the past when I would go to the gym for aerobic and weight exercise I had no real variety in the workouts. At MTS, every workout is different and much more comprehensive. MTS also tailors the workouts to account for my physical limitations (like rehab from shoulder surgery). The comradery with the other participants also ads to the enjoyment of the workouts. I need a schedule that gives me the variety of workouts to maintain good physical conditioning and the format of the MTS workouts fits this nicely for me. I also have more flexibility in my golf swing and somewhat more distance but, unfortunately, I am still a high handicapper. Persevere! It is not easy in the beginning but in the long run you will feel so much healthier, look so much better and learn to enjoy physical exercise. It is all about quality of life.